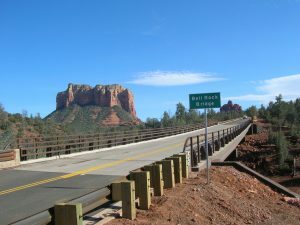 The House Rock Flood was caused by an estimated 1 ½ inches of rain that fell in less than 20 minutes, according to the National Weather Service on August 9, 2015. 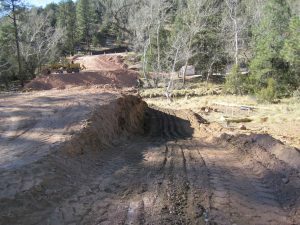 Several miles of US89A between Marble Canyon and Jacob’s Lake were covered in mud and boulders up to 15 feet in diameter which had to be removed from the roadway before repairs could begin. 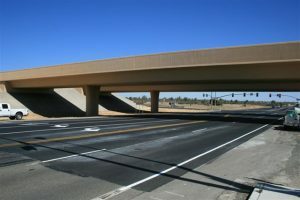 There were a total of 7 locations requiring immediate repair before the roadway would be safe for the traveling public. 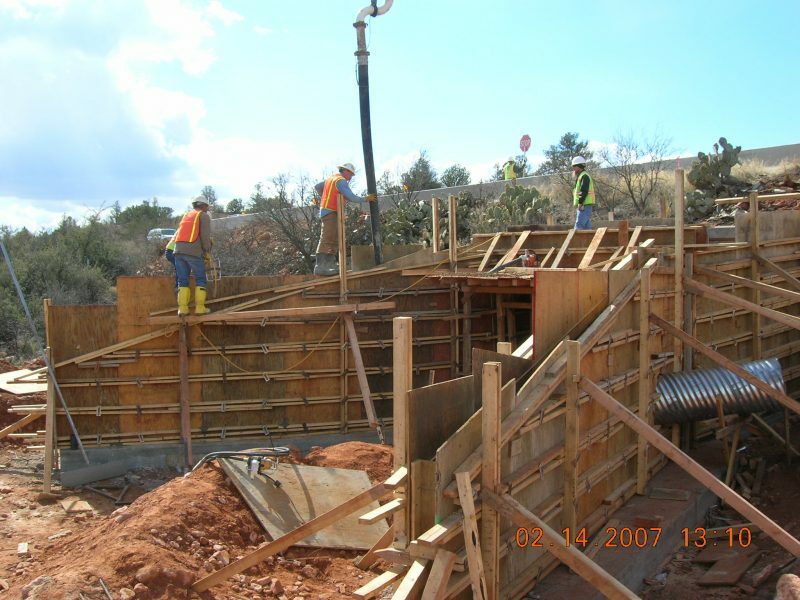 Ranging from the removal of rock, clay, silt, sand, and debris from the clogged box culverts, to repairing heavily damaged box culverts, this project was moving along smoothly until a second flood wreaked havoc on the work already completed. 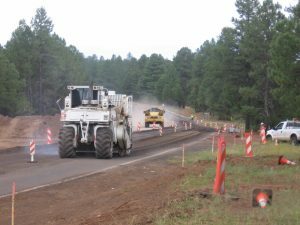 The highway grade height and width as well as drainage channels needed to be reestablished, channel scours needed to be repaired, and pavement needed to be milled and repaved. 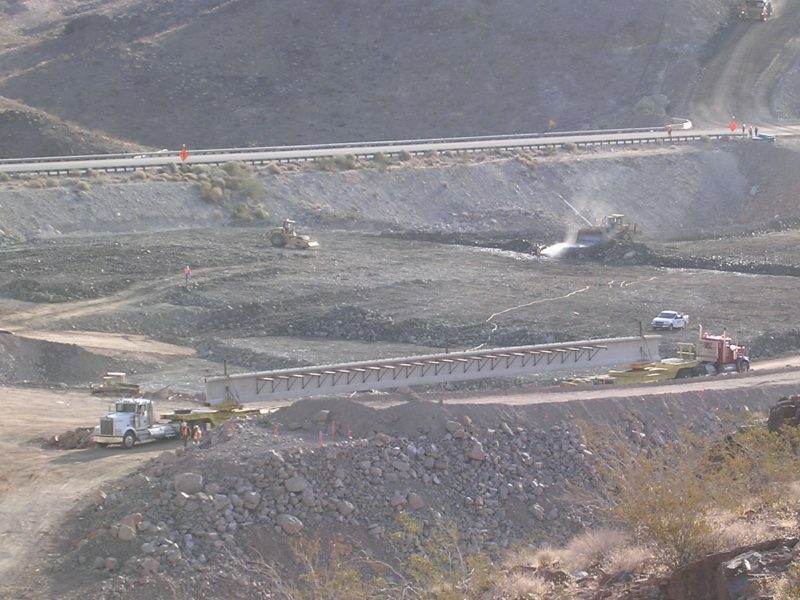 Grouted Rip-Rap was used to armor the channel adjacent to the boxes to help prevent future scouring. 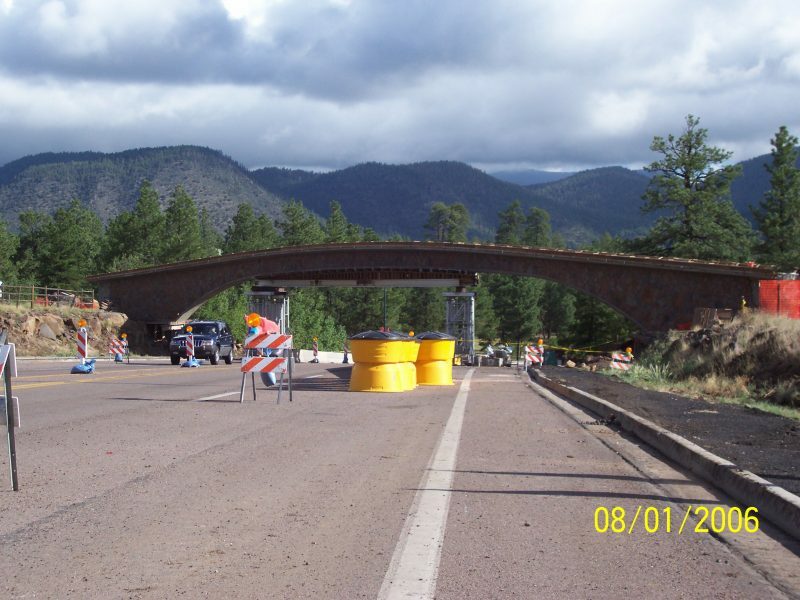 Vastco was able to complete the emergency repairs and reopen traffic in just under 5 weeks. 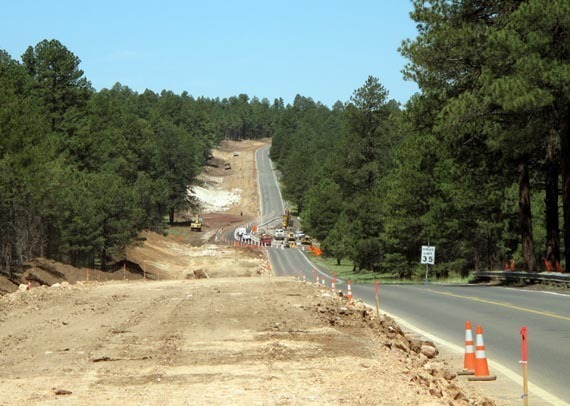 Vastco’s superintendent and project manager coordinated with multiple subcontractors, suppliers, and rental companies to repair the damage and fully reopen the road in an extremely short time frame. 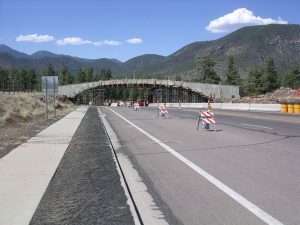 Flagstaff – Cameron Hwy, US 89, Cameron, AZ – $37 million project consisted of reconstructing US 89 and included earthwork, aggregate base, paving, new northbound and southbound bridges over the Little Colorado River, box culverts, pedestrian underpasses, drainage improvements, roundabout construction, major electrical improvements and miscellaneous concrete flatwork. 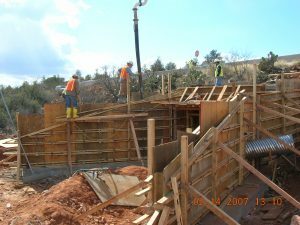 Vastco developed and maintained an excellent working relationship with the Navajo Nation and the surrounding Cameron community. 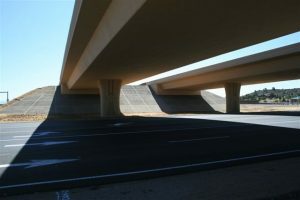 The relationship was enhanced by open lines of communication and a high number of local job opportunities. 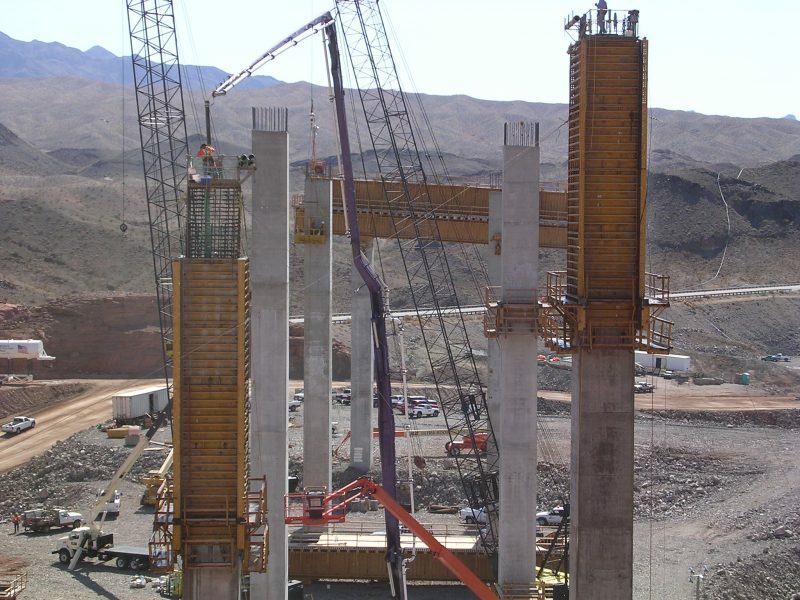 Major challenges on this project included: The overall height of the bridge, accomplishing 80' column pours in a single pour with unusually high river flows making river bed access difficult. 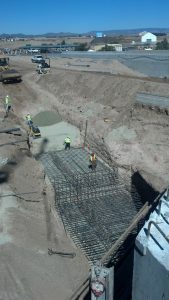 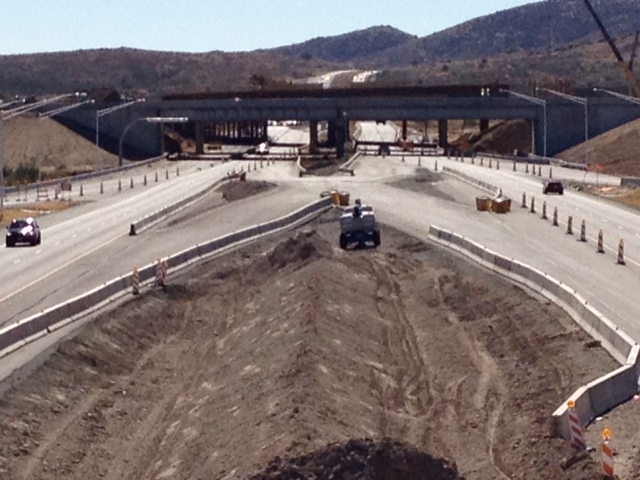 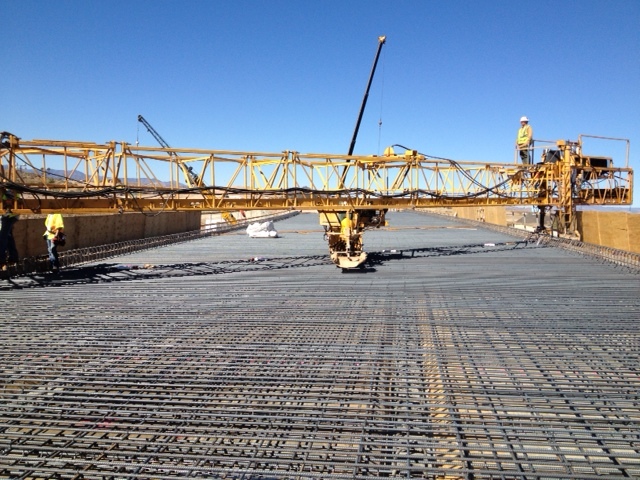 Maintaining traffic control and safe access to the traveling public on a major highway over the Little Colorado River. Removal of the existing bridge with the adjacent proximity of a utility bridge that supported a gas line that spanned the canyon. 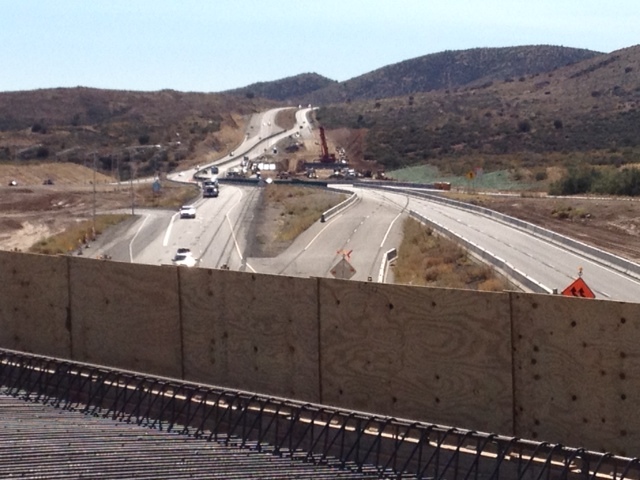 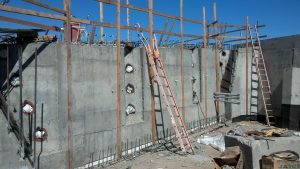 This $2.8 million rehabilitation project is located on I-15 in Mohave County. 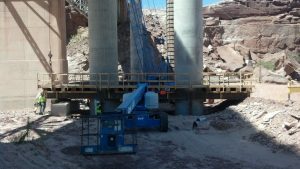 H830901C is located near Milepost 22 and includes bridge deck rehabilitation, girder repair and related items at Virgin River bridge #7. 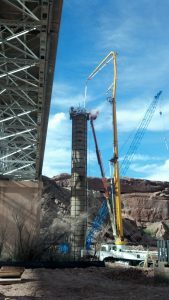 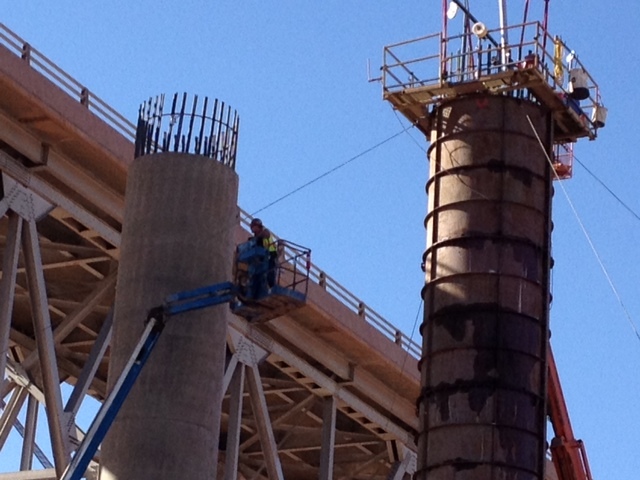 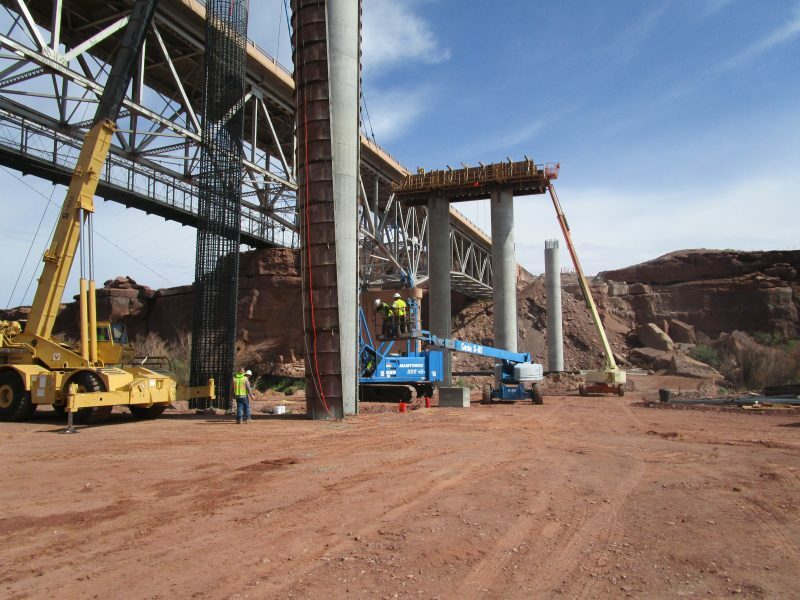 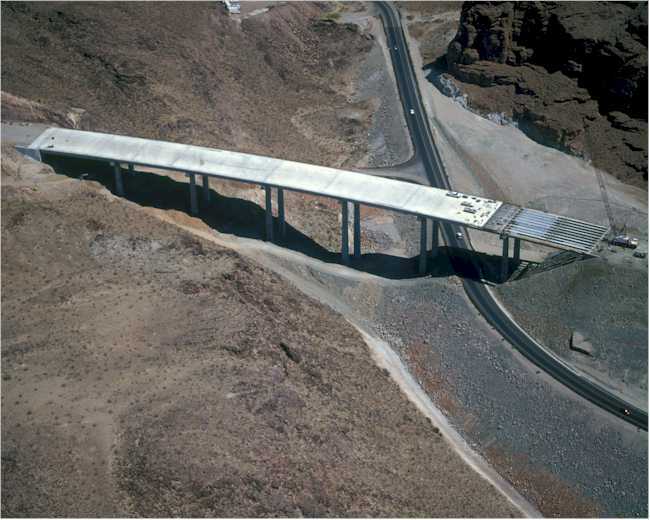 H832501C is located between Mileposts 12 and 15 and includes bridge deck rehabilitation at Virgin River bridge #3, deck joint replacement at Virgin River bridge #2. 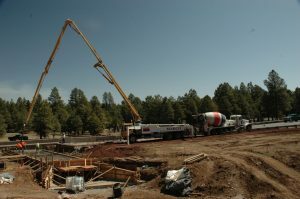 This $5.3 million Design/Bid/Build project was constructed at four separate locations all within the Tonto National Forest boundary near Payson, AZ. 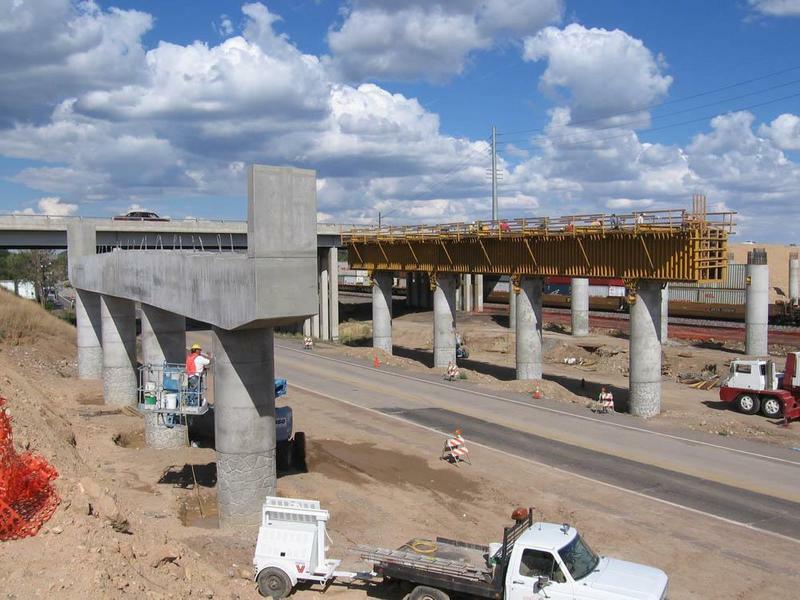 The project consisted of the removal of 4 separate low water crossings and replacing with the erection of two double span and 1 one single span prestressed box girder beam bridges and a multi barrel box culvert structure. 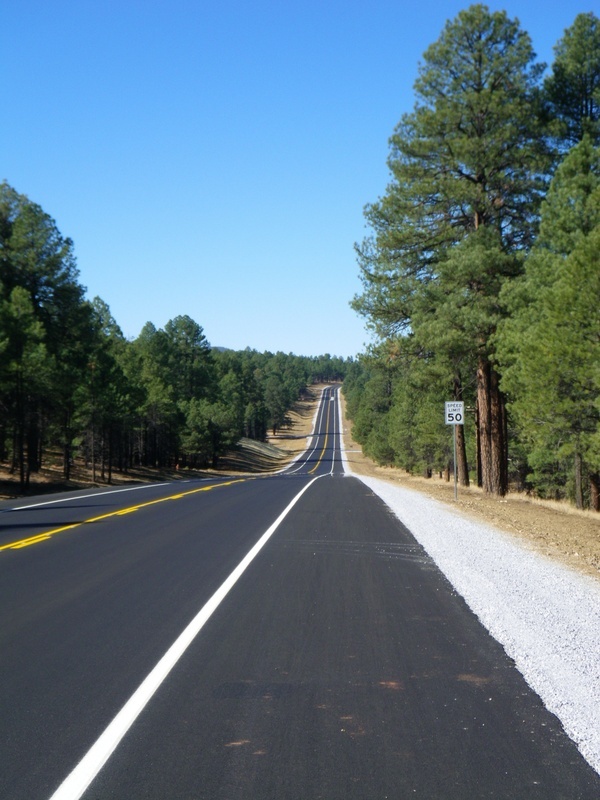 The project was a collaborative effort with the FHWA, U.S. Forest Service, Gila County, and ADOT. 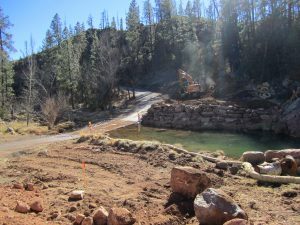 The project also included the erection of rockery walls, roadway realignment and profile grading, drilled shaft foundations, and drainage improvements. 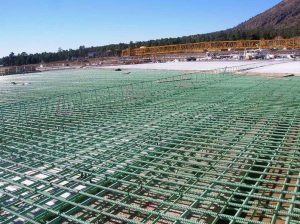 The purpose of and the need for this project was to provide safer conditions during winter travel and high flow conditions during monsoon seasons. Estimated completion of this project is Fall 2014. 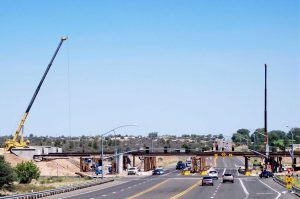 This $14.9 million project encompassed the realignment of US 191, replacing three bridges and reconstructing the Interstate-40/US 191 South interchange. 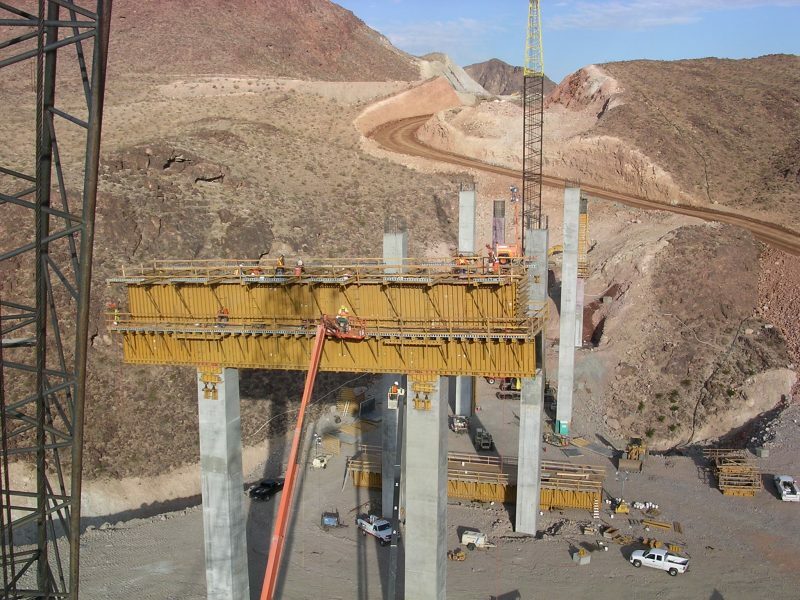 The bridge replacement included one new slab-deck and two new AASHTO girder bridges. 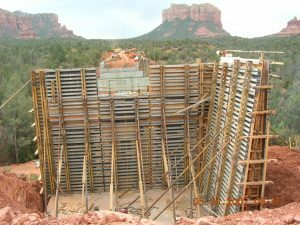 The work also consisted of earthwork shoring, constructing mechanically stabilized earth and concrete retaining walls, miscellaneous concrete flatwork, guardrail and pipe culverts. 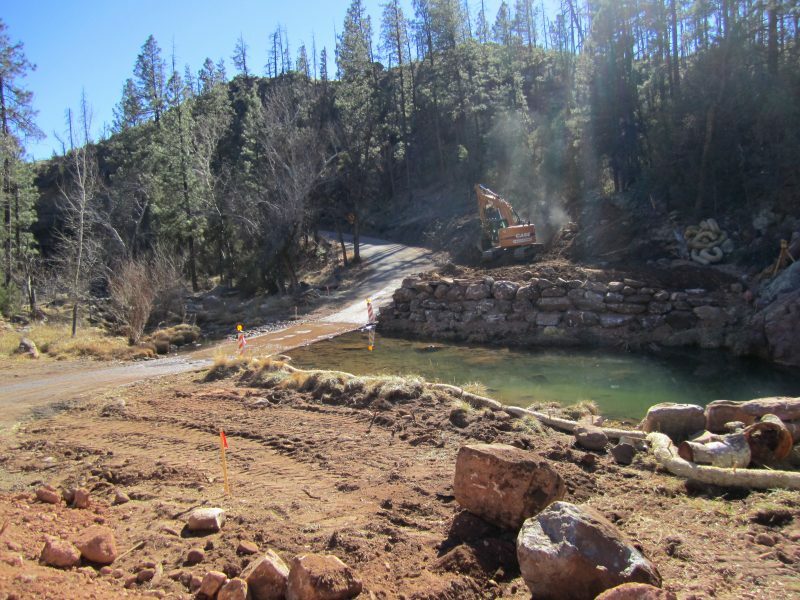 Additional work included seeding, major electrical and lighting improvements, riprap and other related work. 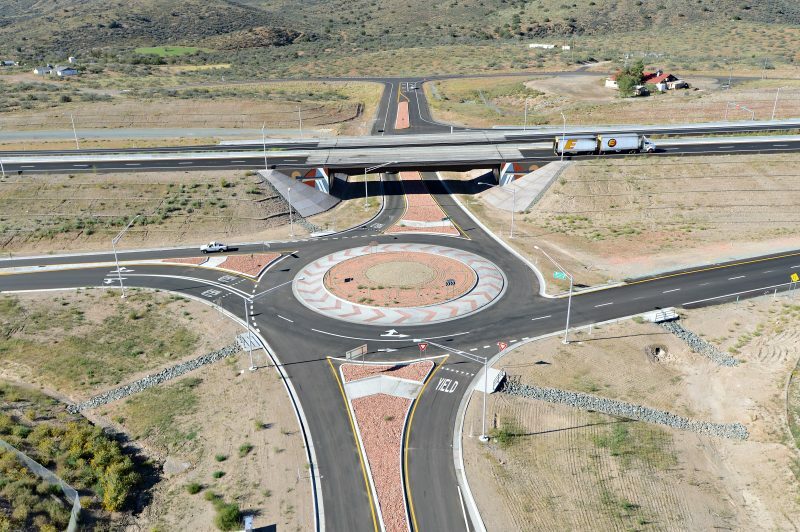 CMAR Cordes Junction Traffic Interchange, Mayer, AZ - $51 million reconstruction of an existing traffic interchange between SR-69 and Interstate-17. 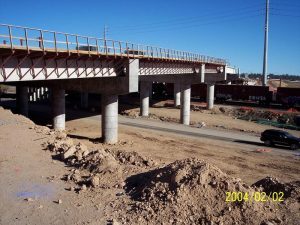 The project included 3 post-tension box girder bridges, 4 precast AASHTO girder bridges, demolition of 3 existing bridges, complex phasing and detour construction, new roadway construction, existing roadway realignment, drainage improvements, major electrical improvements, traffic control and related work. 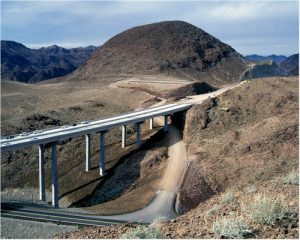 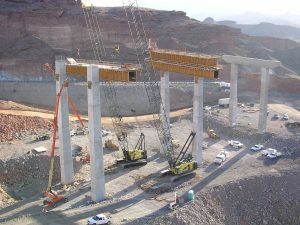 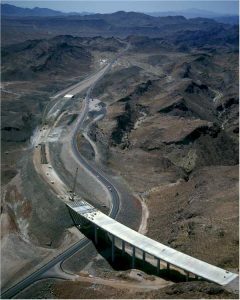 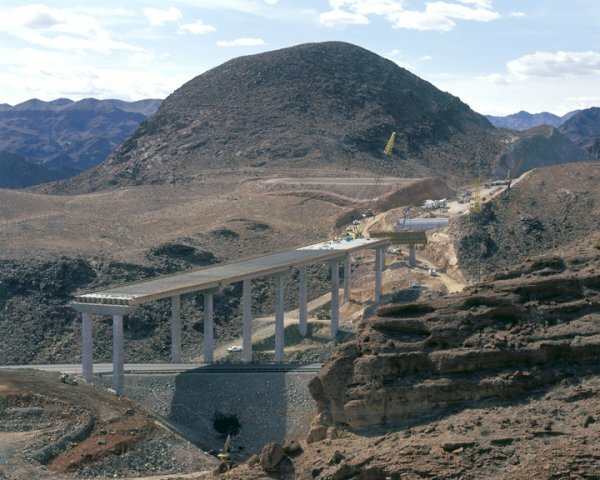 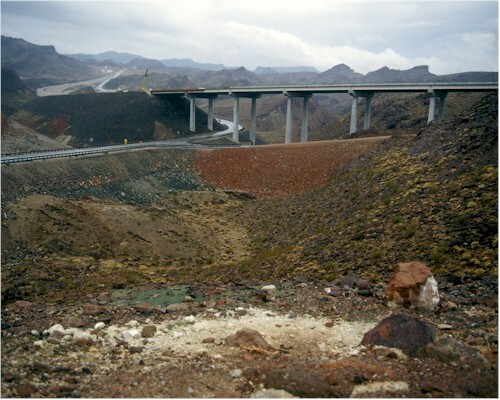 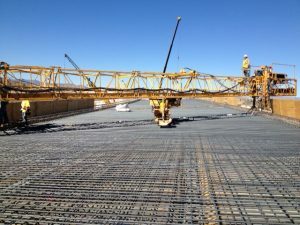 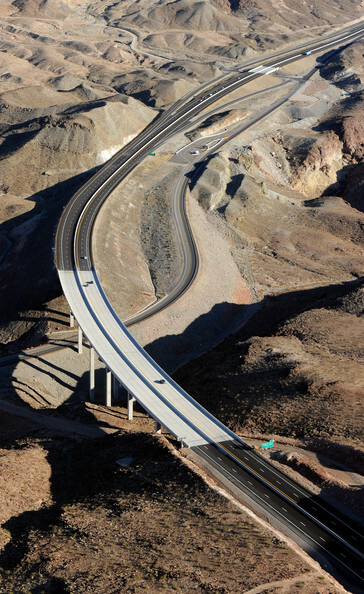 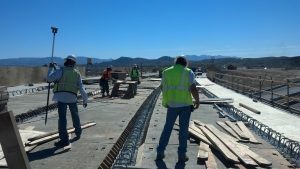 As part of the Arizona Approach to the historic Hoover Dam Bypass Project, Jacobs Engineering was responsible for the roadway and bridge design and Vastco entered into a joint venture with R.E. 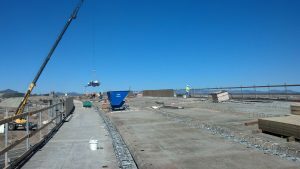 Monks to complete the construction of this $24 million project. 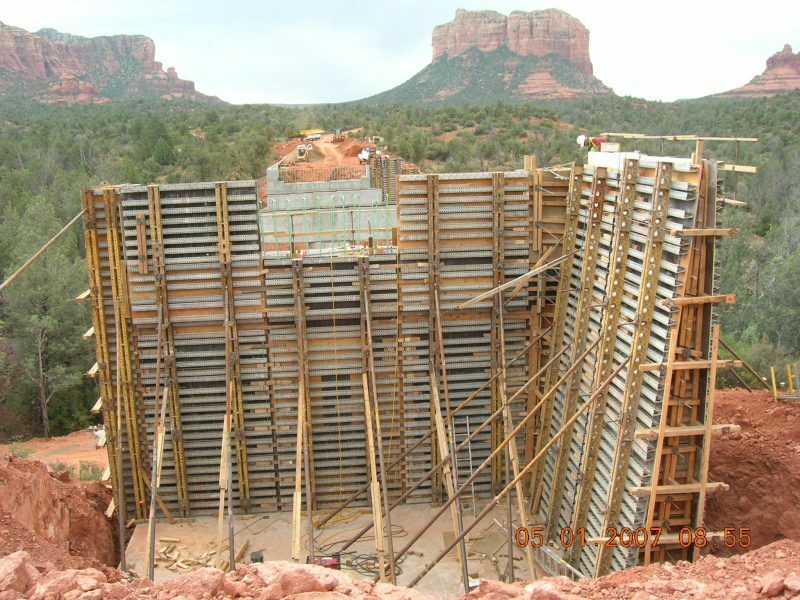 Jacobs worked with CFLHD and the BOR to provide an efficient alignment that accented the approach of the historic dam. 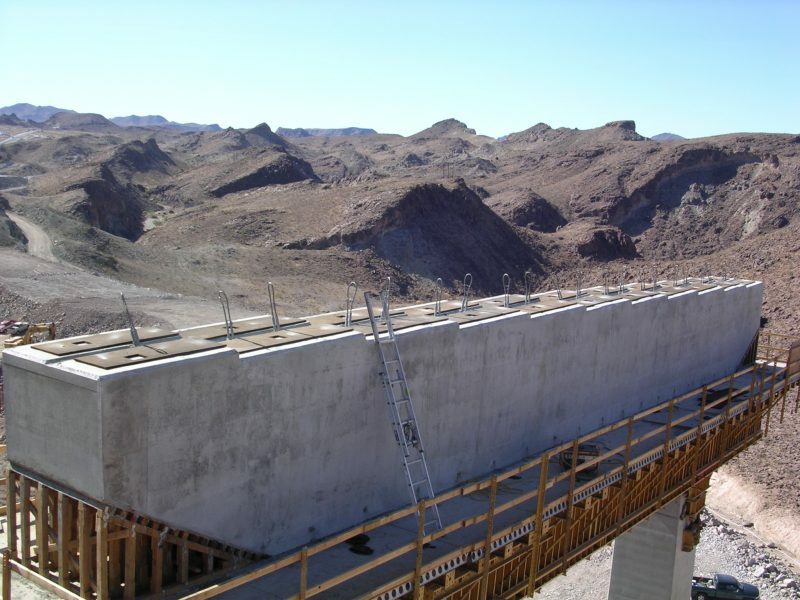 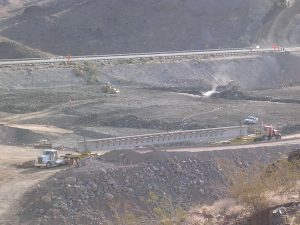 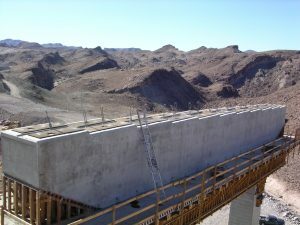 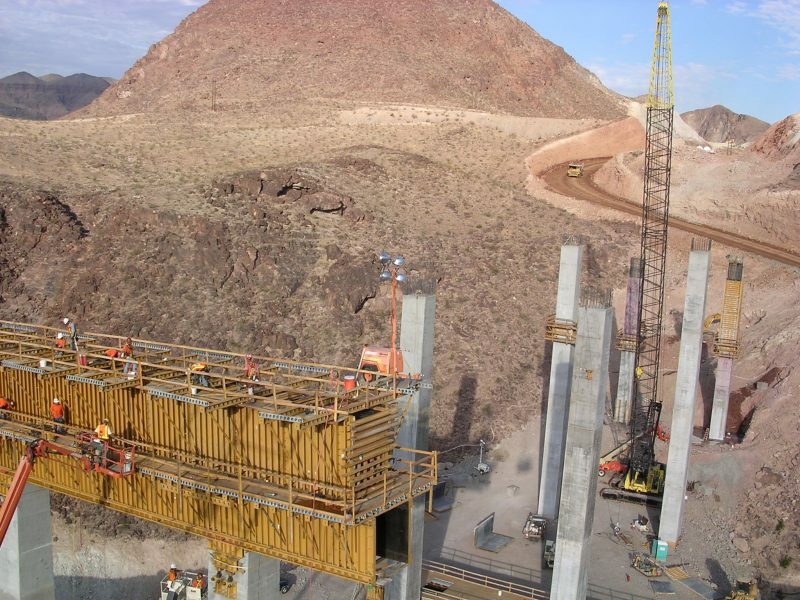 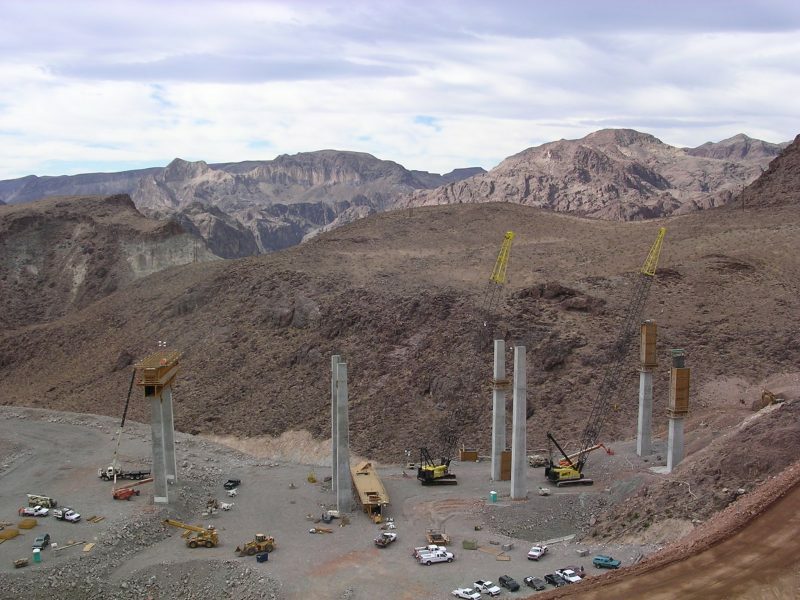 As construction manager for the approach project, Vastco coordinated the effort to construct two new structures that cross a 160-foot deep desert canyon and approach the Colorado River approximately 1,500 feet downriver from Hoover Dam. 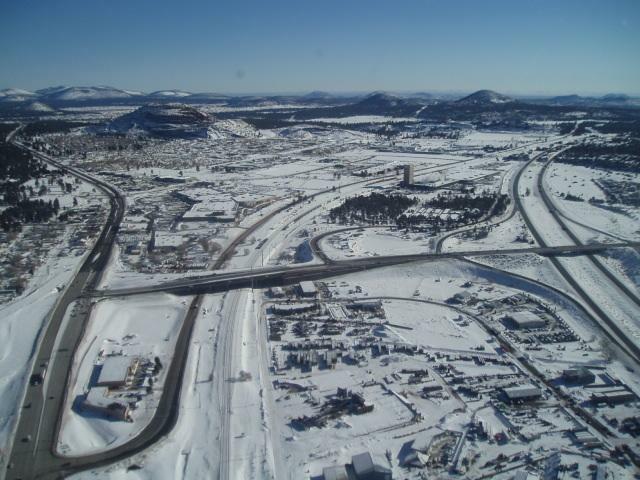 The signature Sugarloaf Mtn. 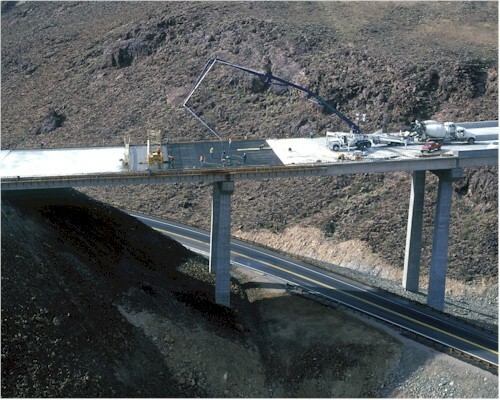 structure is a 7-span 902-foot long concrete type 6 AASHTO girder bridge crossing a ravine used by Bighorn Sheep. 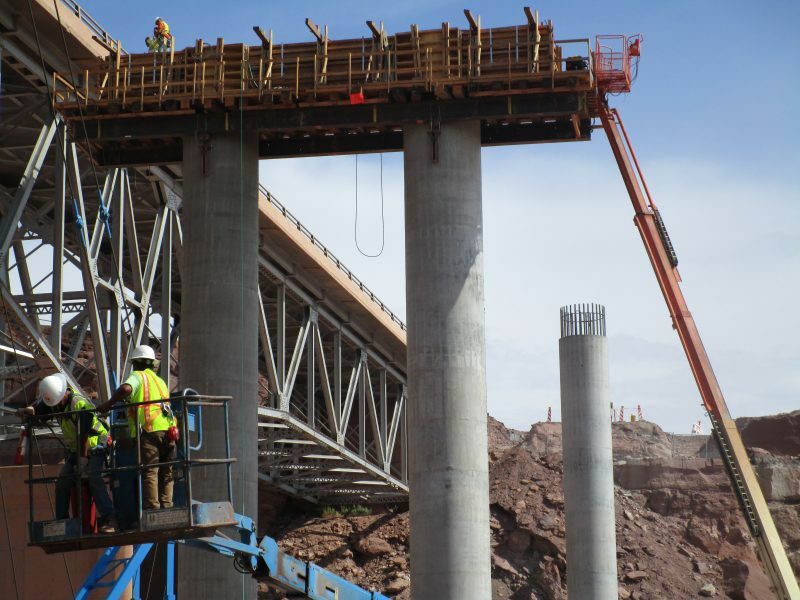 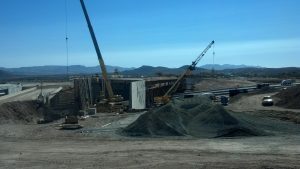 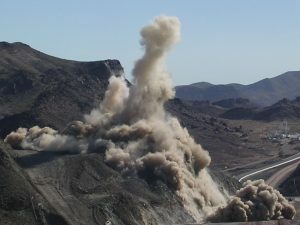 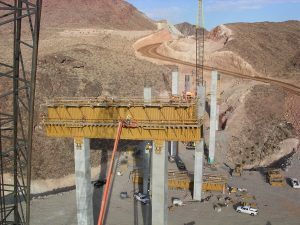 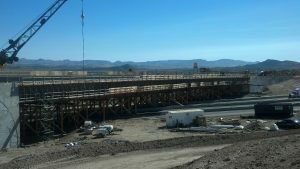 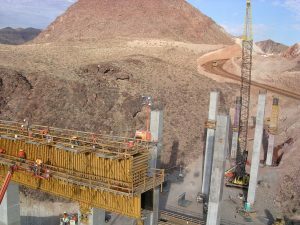 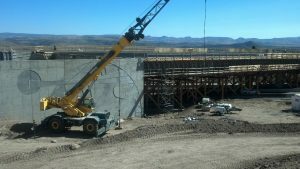 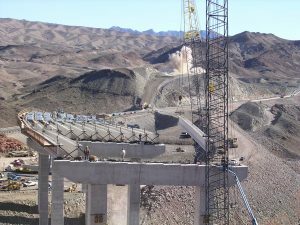 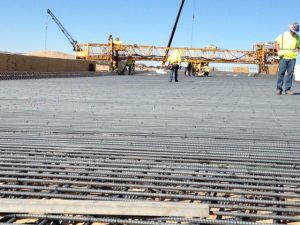 The other structure is a single span 145-foot long type 6 AASHTO girder bridge that will become the traffic interchange accessing to the Hoover Dam and BOR recreation lands. 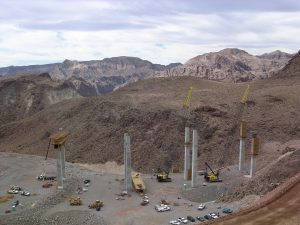 Performed in an environmentally sensitive habitat, the project team drilled, shot and excavated 1.7 million cubic yards of materials, constructed bridges, realigned the existing Hoover Dam access roads, and improved Park Service access. 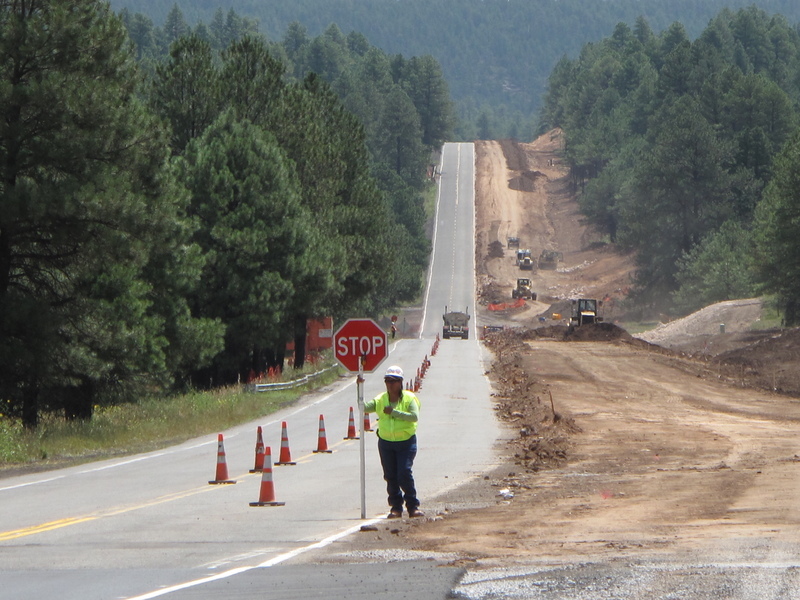 Construction limits were tightly maintained. 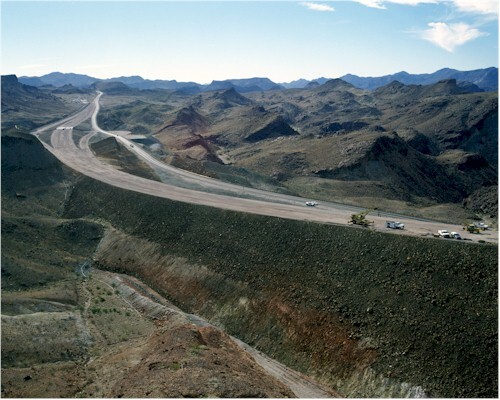 All work minimized impact to endangered Desert Bighorn Sheep and Desert Tortoise. 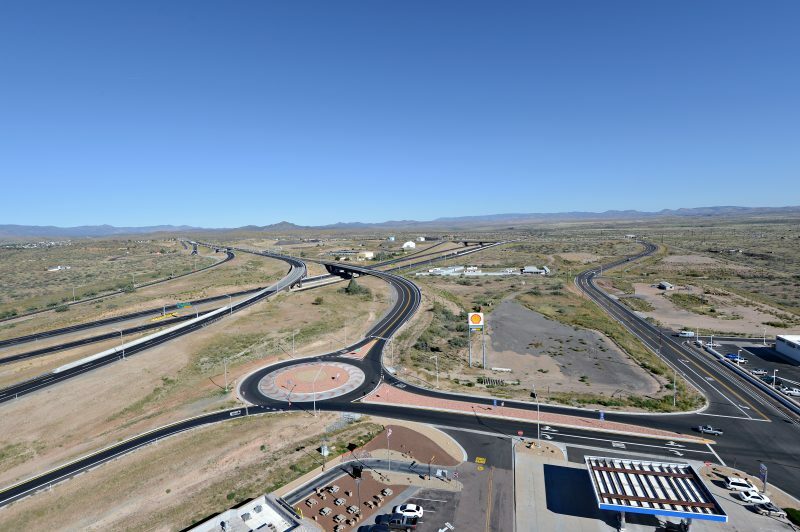 The Monks-Vastco joint venture team of experts completed the $21.5 million Arizona Approach on time and within Federal Highway Administration schedule. 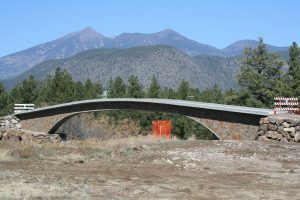 The Cedar Avenue Pedestrian and Bicycle Bridge is a skewed-arch, post-tension bridge which incorporates naturally-occurring materials and an unobtrusive visual aesthetic to blend the structure with the Flagstaff mountain viewshed. 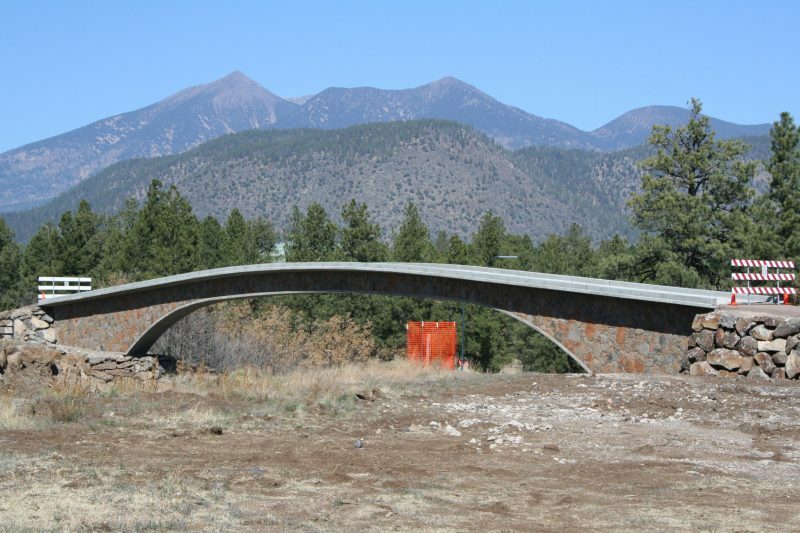 As part of the CM@R process, Vastco staff worked with the design team to create a constructable design which exceeded City of Flagstaff expectations. The results of this close work with the client garnered the Cedar Avenue Bridge a Southwest Contractor Magazine Best of 2007 Concrete Project Award. 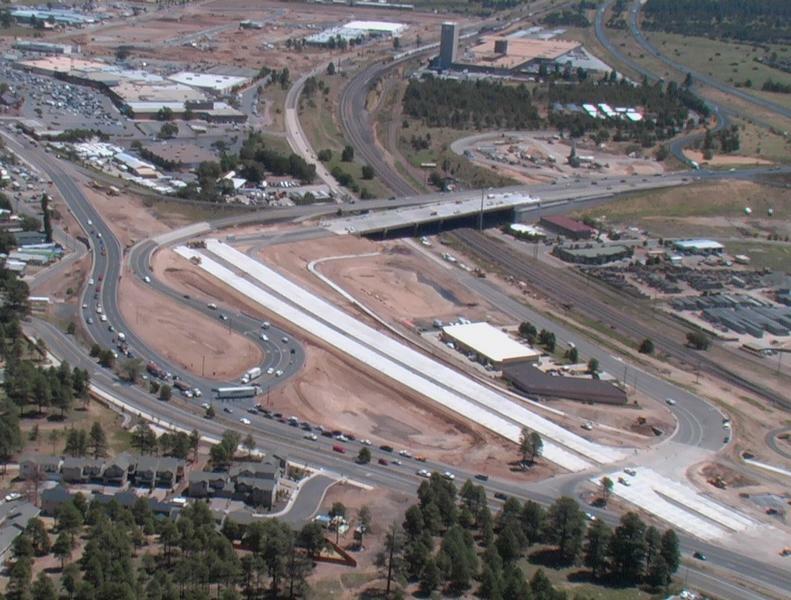 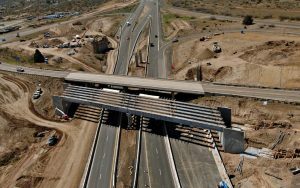 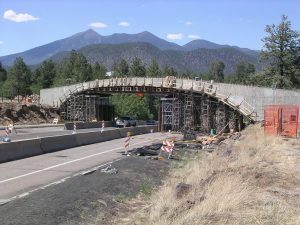 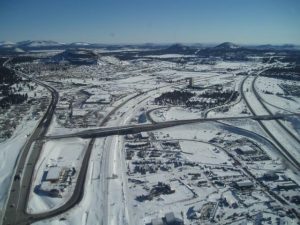 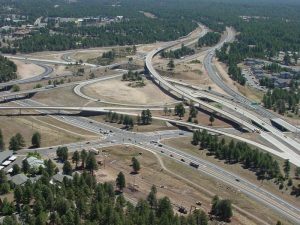 The I-17/I-40 TI project involved rebuilding the interchange where two high volume interstates meet in Flagstaff, Arizona. 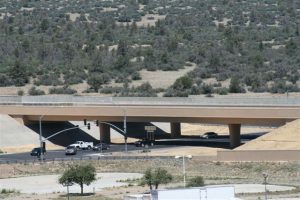 The Vastco team delivered a traffic interchange with a half-mile post-tension concrete signature flyover bridge, 5 additional bridges, and 1 tunnel. 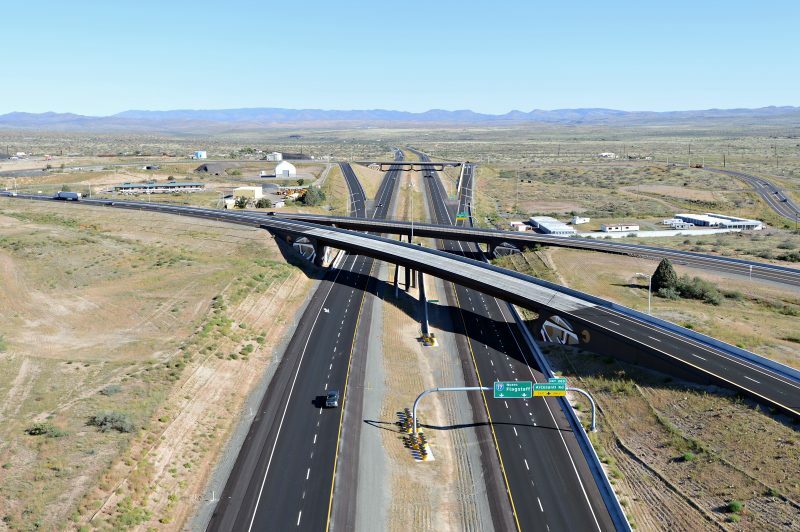 This high-profile TI was delivered to ADOT 19 months ahead of schedule and included $1.5 million in Value Engineering savings. This project was awarded the prestigious Marvin M. Black Award for Excellence in Partnering in 2001. 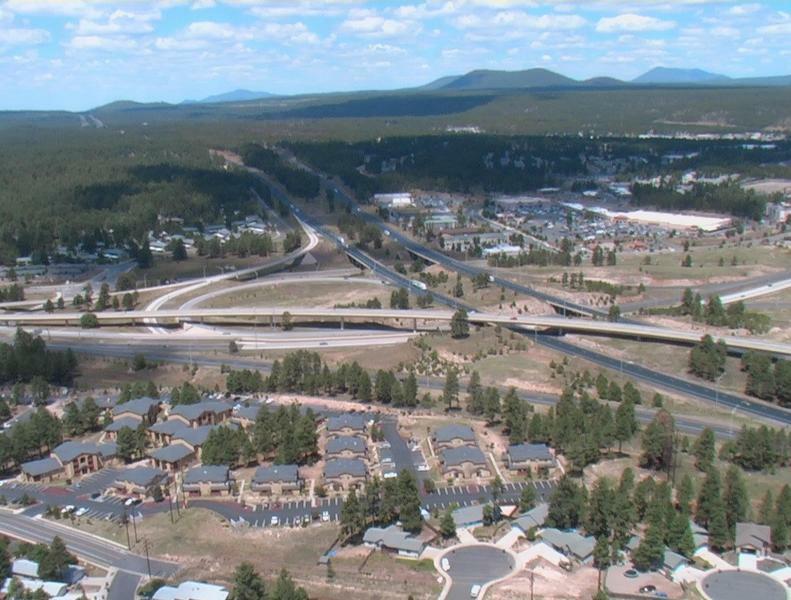 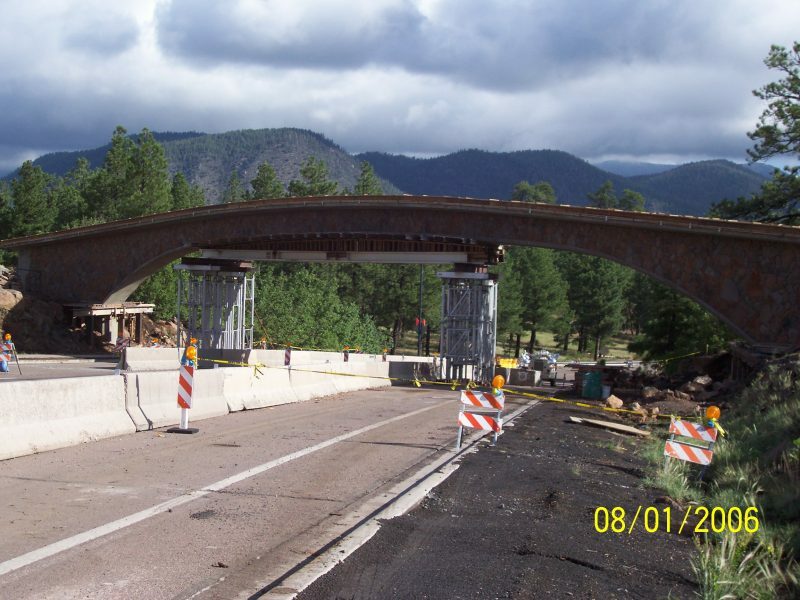 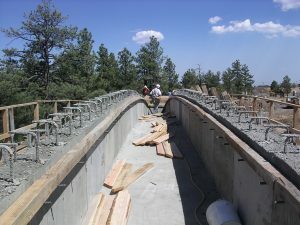 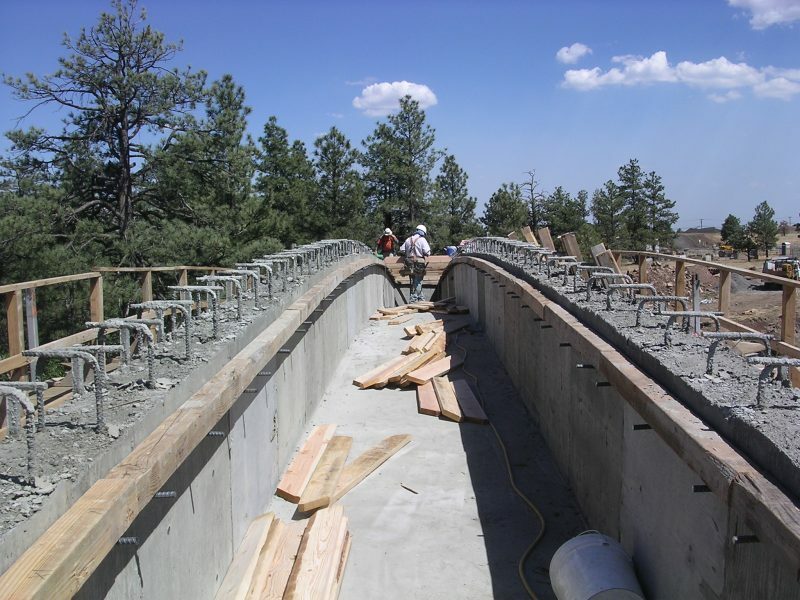 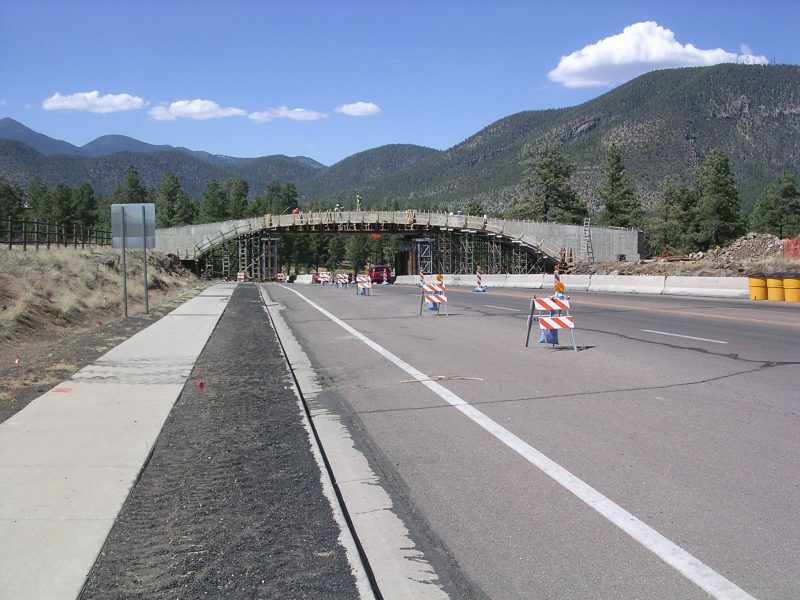 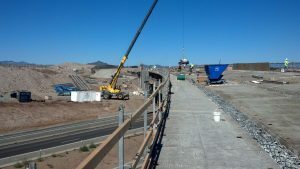 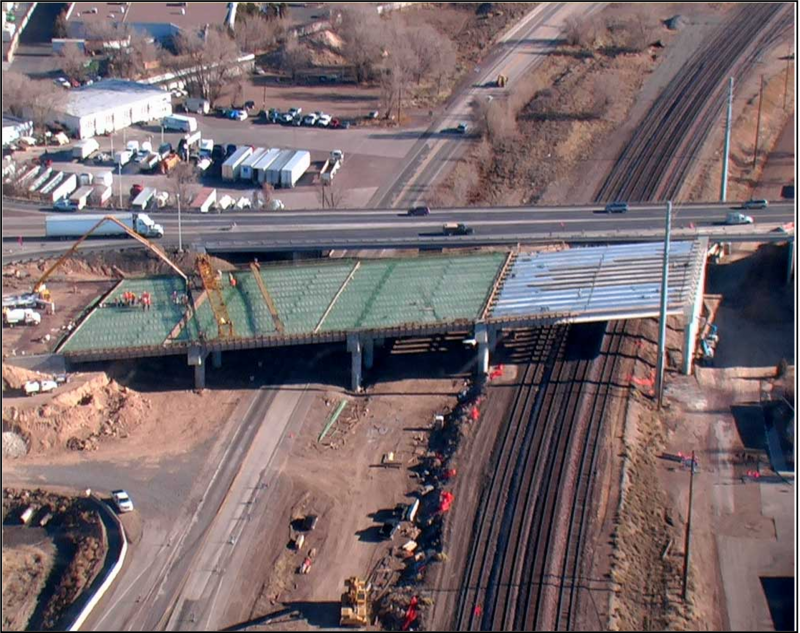 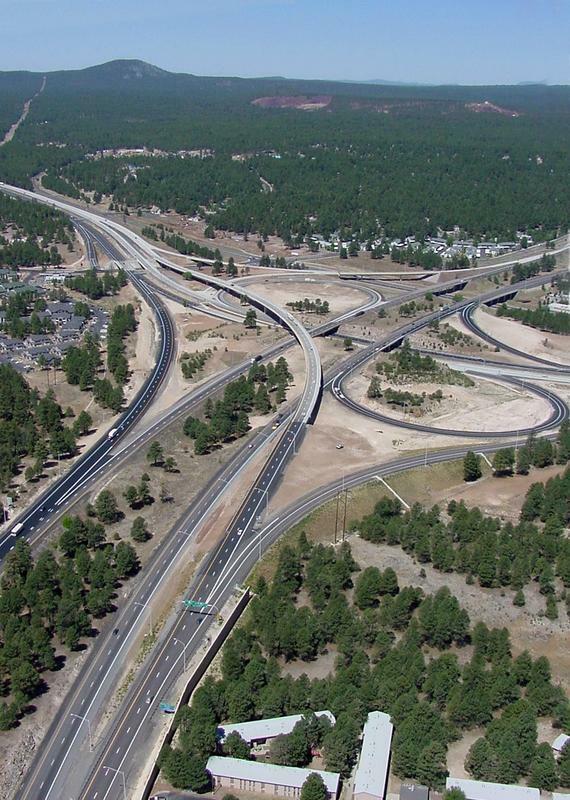 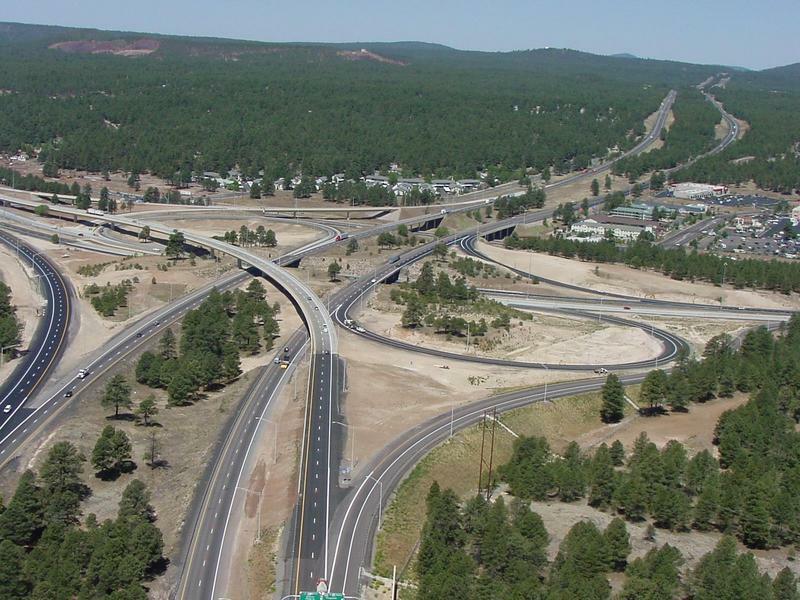 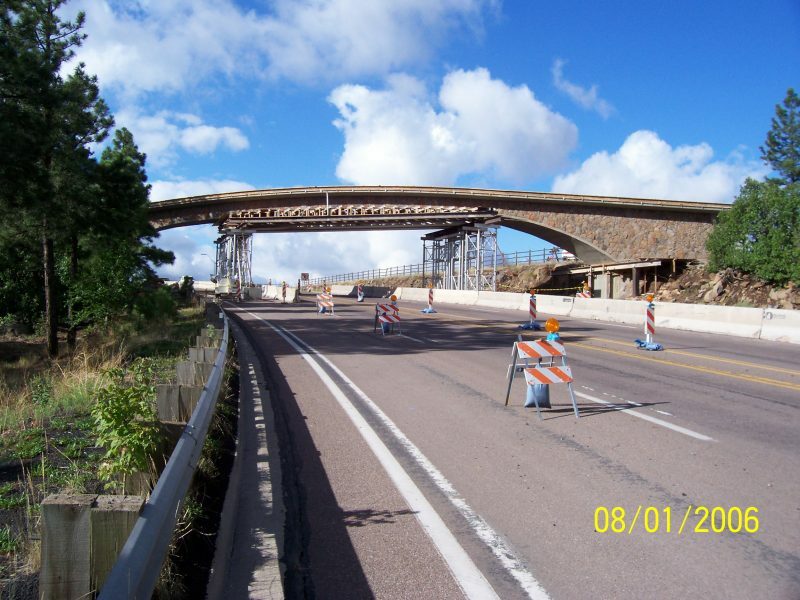 The East Flagstaff TI required an innovative approach to traffic control to accommodate high traffic volumes through an interchange which connects I-40 to the US 89 to Page and the Grand Canyon. 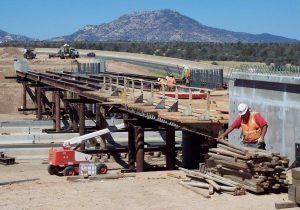 Vastco minimized impact to the traveling public, while building a type 6 AASHTO girder bridge over the BNSF Railroad and Route 66. 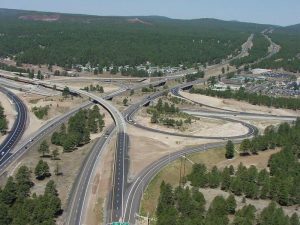 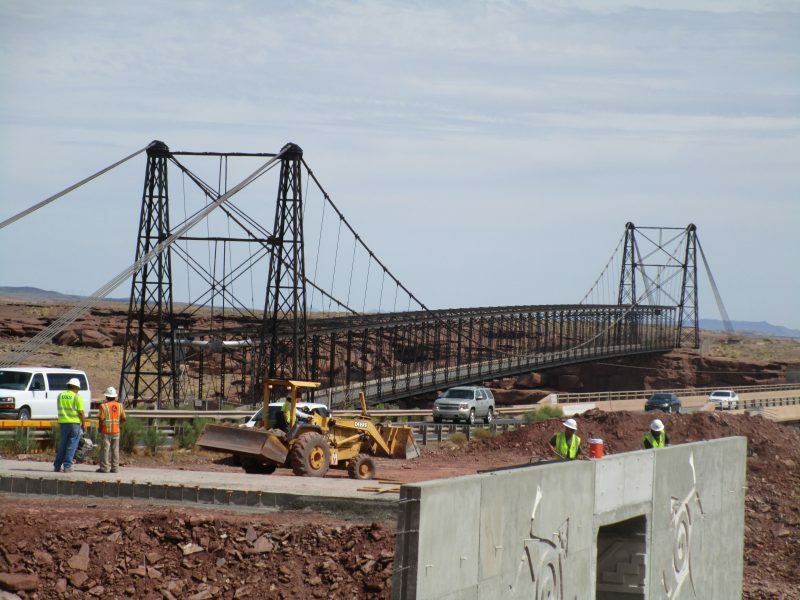 The reconfiguration of this interchange is the largest TI project contracted in northern Arizona, and will be delivered to ADOT on time and with Value Engineering due to creative traffic control. TI improvements included adding several miles of pedestrian and bicycle trail to the Flagstaff Urban Trail System. Vastco, Inc. was contracted to construct the Lake Mary Rd. 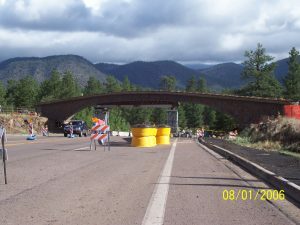 Improvements Project as part of a collaborative effort with the FHWA, US Forest Service, Coconino County, and the City of Flagstaff. 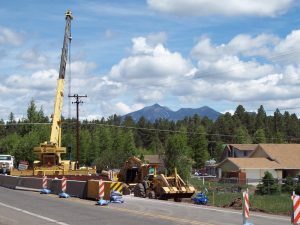 The project utilized funds from the four agencies to improve access and safety for motorists and bicyclists, improve winter roadway conditions, and improve access to the selected recreational use areas. 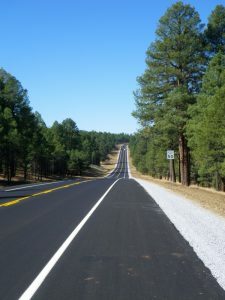 Additional improvements include utility relocates, drainage improvements, and reduced roadway shading and recovery zones. 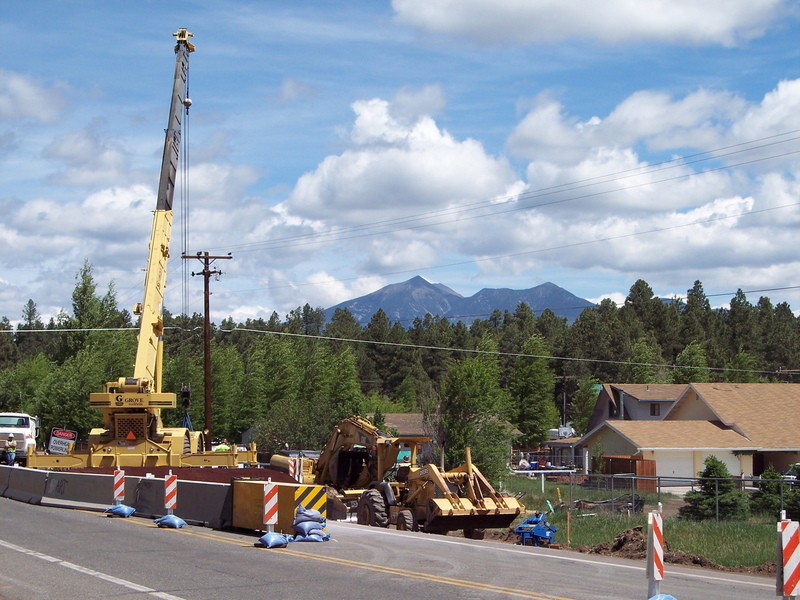 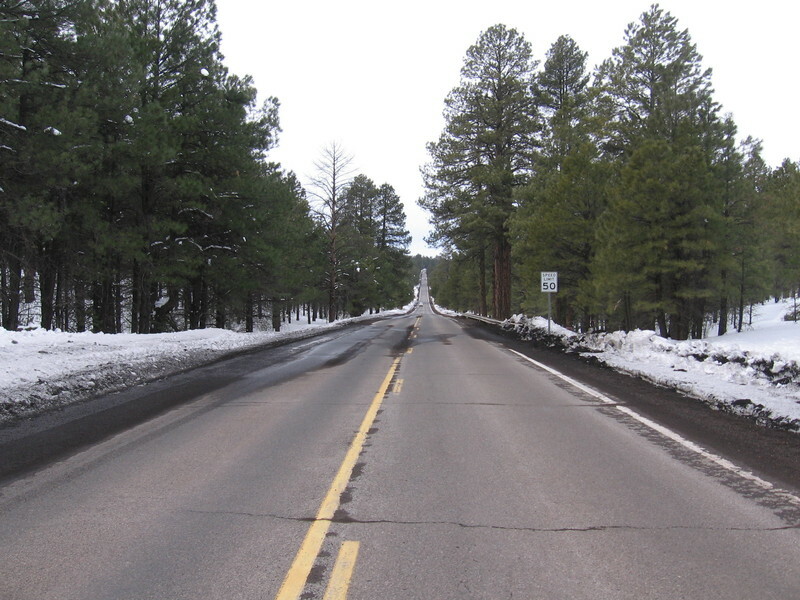 The project team completed the roadway widening portion of the project, within the City of Flagstaff limits, early by the winter of 2009, upon returning to conclude the remainder of the contract, beyond the City limits, in the spring of 2010. Improvements to this section of Lake Mary Rd. 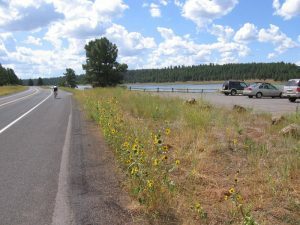 include removing and installing new sections of guardrail for a continuous run along Lake Mary Rd., constructing acceleration and deceleration lanes at the Lake Mary Boat Launch, installing a center turn lane at the Pinegrove Campground, as well as the renovation of the Mormon Lake Overlook. 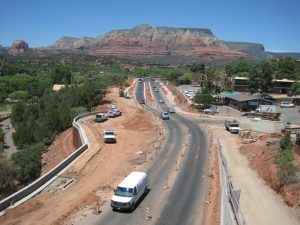 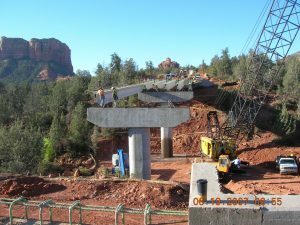 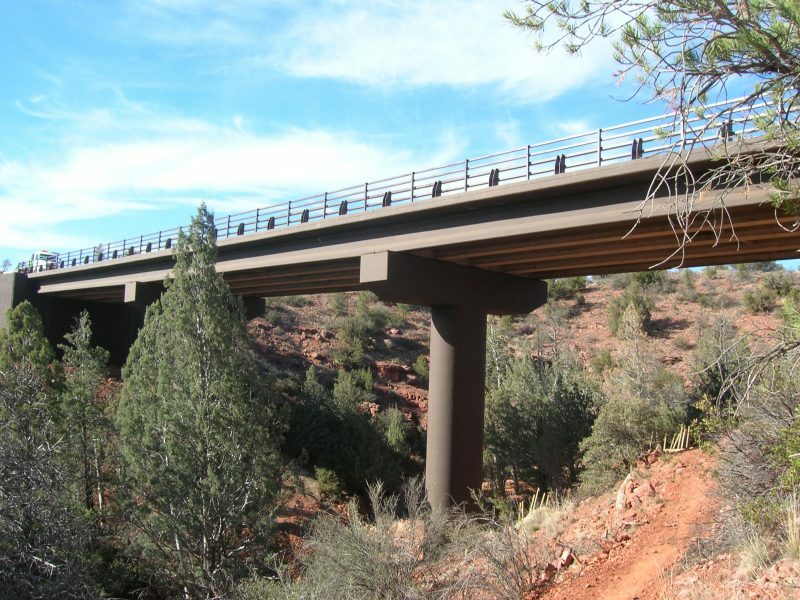 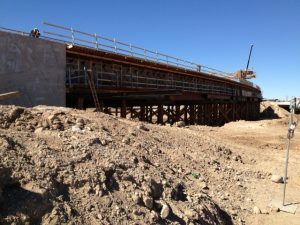 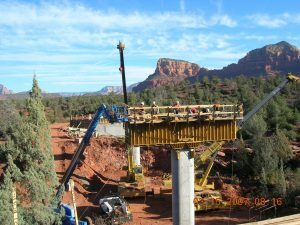 As a subcontractor on the SR 179 project, Vastco built two concrete type 3 modified ASTHO girder bridges along the new alignment of State Route 179 through Sedona. 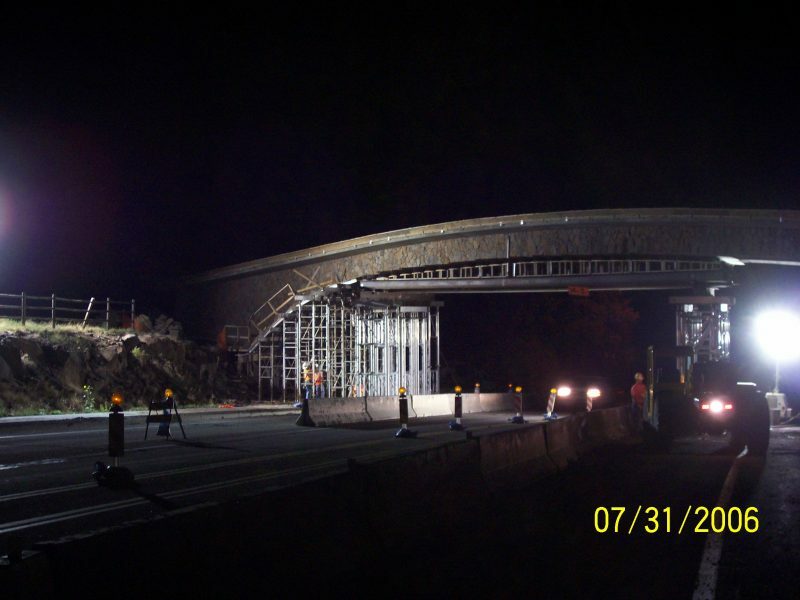 Vastco bridges, including the Bell Rock signature bridge, were delivered on time and within budget. This work was performed in the environmentally sensitive Coconino National Forest. 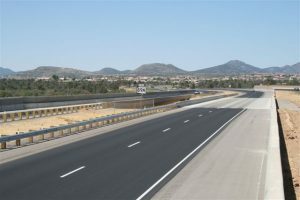 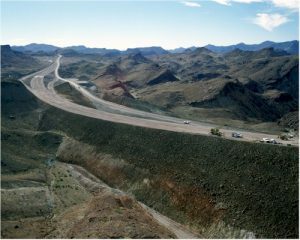 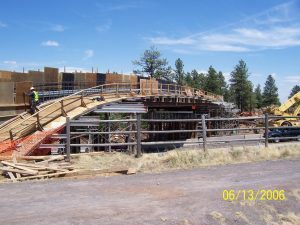 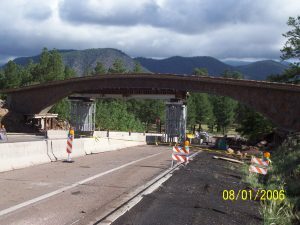 The State Route 89/State Route 89A Traffic Interchange project consists of two bridges which span SR 89 and connect SR 89A with Pioneer Parkway north of Prescott, Arizona. 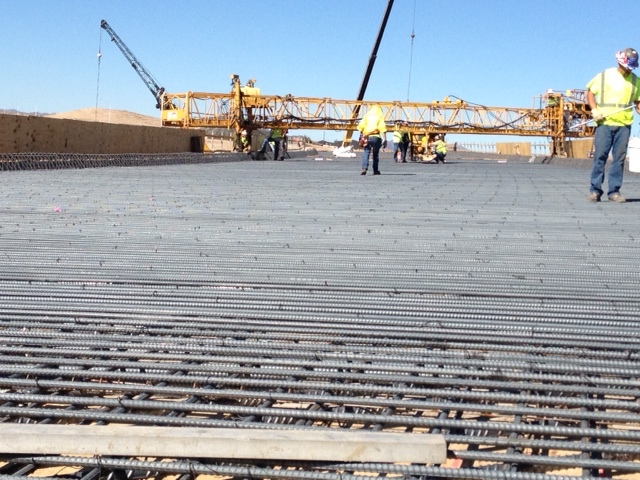 These post-tension concrete structures were built using falsework over SR 89, at a minimal impact to motorists. The bridges are complimented by concrete, aesthetic “sound walls” which reduce roadway noise for area residents. 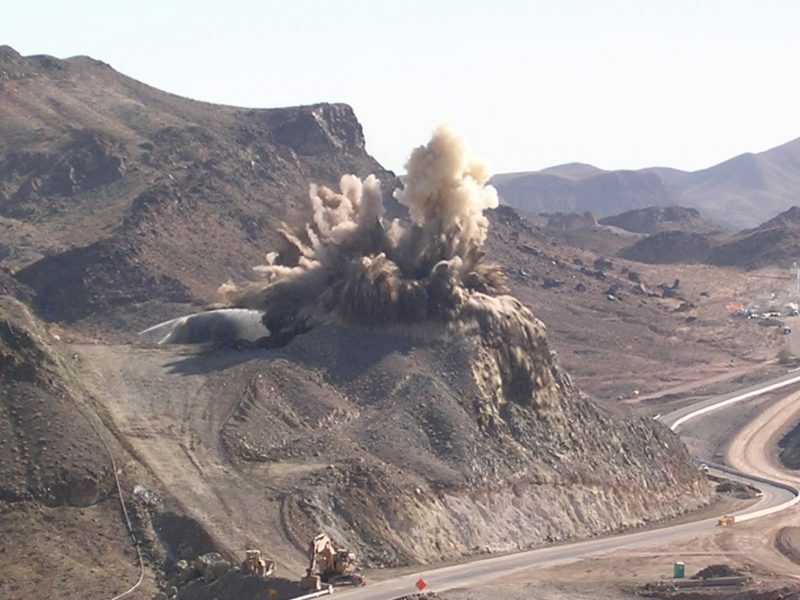 The SR 89/SR 89A TI project involved creative traffic control and was delivered on time and within budget. 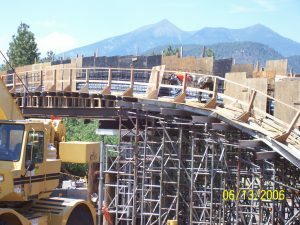 Since 1980, Vastco has established itself as the leading bridge building specialist in the State of Arizona. 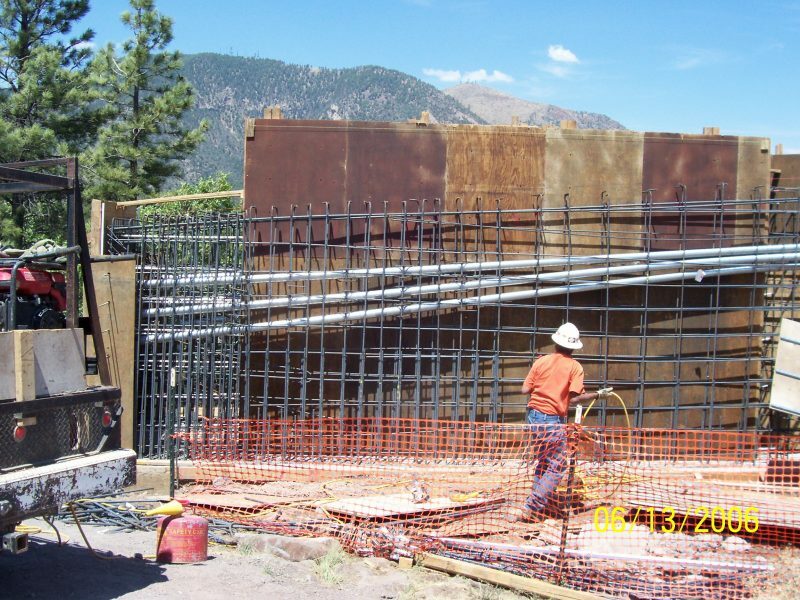 Vastco brings a creative problem-solving and team-oriented approach to every project. 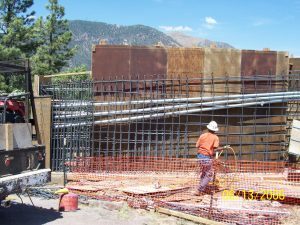 This approach delivers the best quality product in the most efficient manner, a practice which has resulted in projects which exceed client expectations. 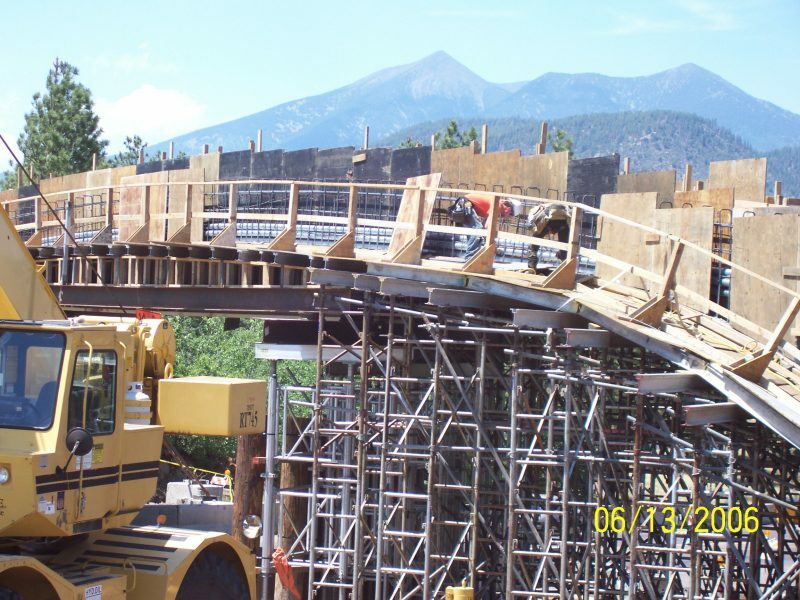 Copyright © 2014, Vastco, Inc.